Invincible is written by Robert Kirkman. 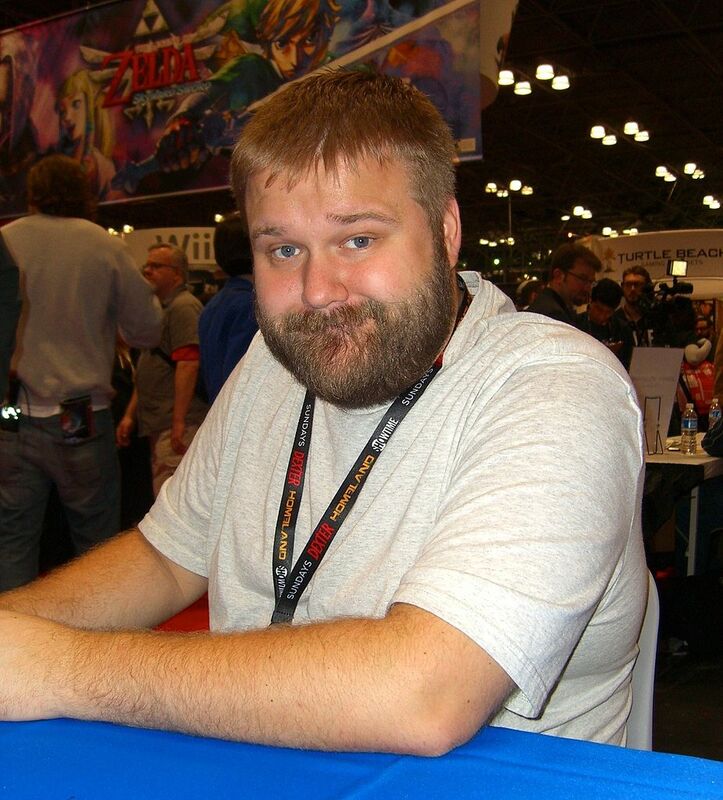 Robert Kirkman, creator of The Walking Dead, multi-continental TV success. When one of your projects hits mainstream media, then you get a label. I’m sure there are plenty of people who have seen the name Robert Kirkman and thought “I know him, he’s the zombie guy!”. To those people I say “YOU ARE THE ZOMBIES! UNTHINKING, SLOW WITTED, SINGLE-MINDED MORONS! YOUR PARENTS WOULD BE ASHAMED! YOU GET A JOB!” or various other slurs and vitriol, depending on my mood. The painful fact of it is this; I’ve read a lot of Kirkman. Whilst I am a big fan of Walking Dead, it doesn’t rate in my top three Kirkman books. Top of that list is Invincible. If I was asked to differentiate between the two, The Walking Dead is his work. Invincible is his love. Kirkman brought various aspects of Invincible together from a lifetime of thinking. Some characters were first developed whilst he was still a teenager living at home. When I was a teenager, I wasn’t producing ANYTHING that should be published in later life. Kirkman hung on to his emissions however, slotting them in as major players or just extras, whatever works. It does mean that he is truly invested, putting who he is down on paper. Every aspect of this book feels like that; plot, character development, dialogue, pacing – all have the feeling of being carefully nurtured, like a new puppy. Kirkman being Kirkman however, does dial up the intensity to kick the puppy in the face whenever he feels like it. 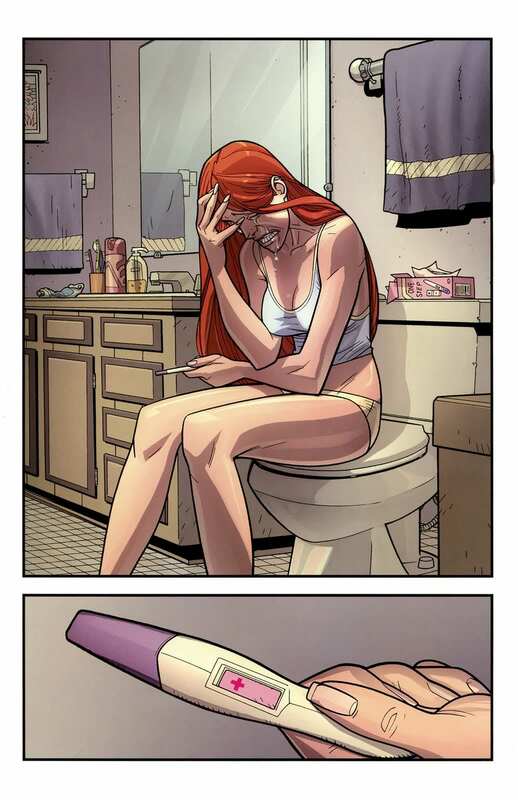 Because of this intensity, Invincible can look a little like a kids cartoon. The Invincible world certainly is a fantastic one, with a myriad of colourful characters and backdrops. It’s not over-powering though, and after a little while, you realise it’s a wonderful balance to the power in the writing. Real human, grass roots issues are rife throughout the series. Through these issues and the relationships involved in them, we see very detailed insights in to things which cause us joy and despair, love and envy. Without wanting to wax poetic, this is not a book about the lives of super-people, but a super book about people’s lives. Writing human interest stories with a super backdrop is a personal favourite for me, and when done well, it equals any other format for story telling. Kirkman’s writing allows you get involved in the person behind the super powers, but leaves you enough wiggle room to be excited about the action. It’s then that you realise the balance between the writing and artwork really is very clever, and at it’s best, beautiful or heartbreaking. 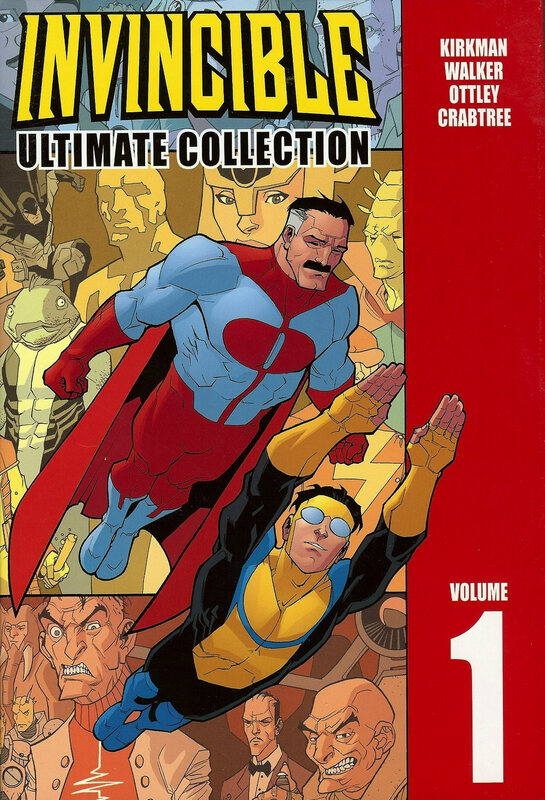 There are a variety of topics looked at in detail in Invincible. First and foremost this is a book about relationships. This is the area that Kirkman always excels at writing about; how do people interact? He is adept at using exciting backdrops; The apocalypse of Battle Pope, the zombies of Walking Dead, or the super heroes and villains of Invincible. This is the sizzle to the steak of the story. It’s what Kirkman uses to get us to look at how parents and children interact when the pressure is on. How do friends fall in to social roles? What part does global politics play on personal relationships? These are questions that Kirkman loves to poke at. His writing is designed to give entry points, comparisons to your own life and more ‘regular’ universe are easy. This way, you buy in to the story because you think about your own. The other thing that’s always struck me about this book is it’s humour. Take a look at any recent picture of Robert Kirkman. He’s got a twinkle in his eye that tells you he finds life funny. What doesn’t show up is how many different ways in which humour is utilised. Kirkman weaves in humour like a tapestrier working on a masterpiece. There are threads of slapstick, irony, sarcasm, wordplay placed carefully through the book. What’s remarkable is that he’s done this without making the book a work of comedy, it’s just real. Life is funny. Life with super powered people would be super powered funny, and here it is exactly that. I think you should read Invincible because it’s a smorgasbord of delights, well written, well drawn and well done. I honestly feel enriched by having read this story. Hell, you want an endorsement? I have one of the main characters from Invincible tattooed on my arm.